The United Arc, a leading provider of services for individuals with intellectual and developmental disabilities and their families in Franklin, Hampshire, Hampden and Worcester counties of Massachusetts, is seeking a dynamic, team-oriented individual to oversee its Adult Services Department, including group homes, shared living placements, individual home supports and related program and service models. Primary responsibilities include overseeing all aspects of operations with primary concern for health and safety of individuals and families being served, quality program and service delivery, sound fiscal administration, staff recruitment, training, supervision and development, compliance with state and federal regulations, licensing and contracts, safety and security, facility management, protection and integrity of records and materials, business and community relations and resource development. Email our HR Manager to Apply! 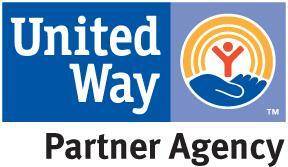 The United Arc, headquartered in Turners Falls, MA, provides services for individuals and their families with intellectual and developmental disabilities in Franklin, Hampshire, Hampden and Worcester counties of Massachusetts, is seeking a dynamic, team-oriented individual for its Positive Parenting Program located in Holyoke, MA. Parent Educators provide parents with disabilities or learning differences referred by the Department of Children and Families with case management and support to improve their parenting skills. Services include home visits and supervised visits. This is a bilingual full-time position. The United Arc, a leading provider of services for individuals with intellectual and developmental disabilities and their families in Franklin, Hampshire, Hampden, and Worcester counties of Massachusetts, is seeking a dynamic, team-oriented individual that would be responsible for providing clinical oversight of programs and services provided for the individuals and families we serve. Prepares and/or oversees the preparation and implementation of behavior plans, provides clinical assessments and services, attends critical psychiatric appointments, attends required individual and team meetings, and provides training and support for staff, individuals, and caregivers. The United Arc, headquartered in Turners Falls provides services for individuals with intellectual and developmental disabilities in Franklin, Hampshire, Hampden and Worcester counties of Massachusetts, is seeking a dynamic team oriented individual to join a dedicated team of people supporting an active young man diagnosed with autism. The ideal candidate for this position would be an experience and mature person that is responsible, reliable, patient, and has life or work experience with people with autism. Job responsibilities include engagement in a variety of community activities in the Amherst area and assistance with household chores and self-care. This position is approximately 20 hours per week, which may include late afternoons, evenings, and weekends. The United Arc, headquartered in Turners Falls, Massachusetts, which provides services for individuals with intellectual and developmental disabilities and their families in Franklin, Hampshire, Hampden and Worcester counties of Massachusetts, is seeking dynamic and team-oriented individuals to provide services for youth or adults with intellectual and developmental disabilities in residential living situations or in the individual's own home. Full time, part time and relief positions, (including second shift, overnight and weekend shifts), are available. Staff in these positions will enable the individuals we serve to have as much control as possible over his/her home, provide assistance in various areas including health maintenance, money management, shopping, cooking, ADL skills, socialization, establishing meaningful relationships and community involvement. The United Arc, headquartered in Turners Falls, Massachusetts, which provides services for individuals with intellectual and developmental disabilities in Franklin, Hampshire, Hampden and Worcester counties of Massachusetts is seeking a dynamic and team-oriented individual to oversee human resources for its $5.6 million and growing organization. The Manager of Human Resources is responsible for overseeing all aspects of human resources with primary concern for payroll, benefits administration, recruitment, staff training and development, compliance with state and federal laws, licensing and contracts, workers compensation, unemployment, and employee relations to ensure quality program and service delivery, sound fiscal administration, ongoing supervision and training of staff, safety and security, facility management, business and community relations and resource development. The United Arc, a leading provider of services for individuals with intellectual and developmental disabilities and their families in Franklin, Hampshire, Hampden and Worcester counties is seeking a dynamic individual that would be responsible for supervising the staff hat provides assistance to individuals with various medical and psychiatric conditions in a residential program. Functions include but are not limited to, health maintenance, money management, shopping, assisted daily living skills, socialization, transportation, work, education, and human rights. Staff assist individuals in creating and enhancing meaningful relationships and friendships, and to be an inclusive member in their community. Maintenance Staff Associate - The United Arc, a leading provider of services for individuals with intellectual and developmental disabilities in Franklin, Hampshire, Hampden and Worcester counties is seeking dynamic, team-oriented individuals for its Property Maintenance Staff. Our Maintenance Department provides routine maintenance, repair, and janitorial duties at our agency's office, program, and residential sites. Our Maintenance Department is based out of our Greenfield, MA workshop and will travel to various properties as needed during the shift. Part-time and full-time opportunities available. The United Arc, a leading provider of services for individuals with intellectual and developmental disabilities and their families in Franklin, Hampshire, Hampden and Worcester counties of Massachusetts, is seeking a person to serve as an Individual Companion for a client in it's Adult Services Program located in Greenfield, MA. The Individual Companion would assist our client to develop and maintain connections in the community and their pursuit of individual interests. The United Arc, a leading provider of services for individuals with intellectual and developmental disabilities, is seeking a Personal Care Assistant in the North Quabbin region to assist a gentleman in Orange, Massachusetts. We are looking for 2 direct support staff, 19 hours per week-day, evening and weekend hours-to provide direct support services to this gentleman in his provider's home. We are seeking a detail-oriented individual to assist with the day to day Development functions. This is an excellent opportunity to learn about resource development, marketing, and event organizing, and may be particularly appealing to those with interests in the fields of fundraising, communication, organizational history. This position will assist the Development & Events Coordinator in the areas of data entry, assistance with event logistics, department mailings, digitalizing and summarizing historical records, and other administrative duties as directed by the Development & Events Coordinator. Photography and digital editing skills preferred. Seeking experienced and compassionate female to provide direct support services to a young woman in Greenfield. Someone who is energetic and familiar with local community events is preferred. Skill supports will include activities of daily living and public safety. 4 hours per week in the afternoon. Pay rate $14.00 per hour. The United Arc is currently looking for an anyone who would like to include another person in their life, including families with children, retirees, people currently living alone, with friends or with a partner. The United Arc supports individual choice, self-expression, and enhanced independence while fostering and promoting positive relationships, personal growth, and expansion of skills and experience.